May 13th certainly ain’t unlucky for us as JK Flesh aka Justin Broadrick (Godflesh, Jesu, Final, Pale Sketcher, Council Estate Electronics, Techno Animal) will be decimating the richter scale when he brings his tectonic plate shifting, cochleas crushing sound to Shipley for our second show of the year. JK Flesh productions are naturally relentlessly heavy - often lowering the beats per minute to a rate that feels like stomping through a pool of sticky black tar —yet his not afraid to throw moments of ecstasy into the murk. Expect rib cage rattling low end, amens, and proper techno sludge. JK Flesh releases have come via 3BY, Regis’ Downwards label, Hydrahead, Dominick Fernow's Hospital Productions, Speedy J’s Electric Deluxe and his own Avalanche Recordings imprint. We’ve been wanting Justin to wreak havoc upon us for some time, and we couldn’t be more exited about finally making it a reality. Rest assured we’ll have our handyman reinforcing the Kirkgate Centre’s windows with extra putty for this one. Gary Howell has managed to keep a reasonably low profile, despite a slew of releases as half of shadowy techno duo Pendle Coven (alongside Demdike Stare’s Miles Whittaker) and rewiring darkside jungle / splicing up amens as HATE — where they’re both joined by Andy Stott. This past Autumn, we were collectively floored by the brooding atmosphere and crushing weight of his debut solo full-length ‘Housebound Demigod’ which landed under the handle G.H. on Modern Love. A deliciously dark beast of a record, that utilizes menacing sub-bass, deconstructed drum machine sequences, vocal cut-ups and coruscating noise to devastating effect - dragging electronic music down into a murky realm where slow crawling, dank, claustrophobic techno, dub, and bass music collide with the black forces of drone metal. Imagine Shackleton, Nurse With Wound and Sunn O))) on a camping trip on the foggy West Pennine Moors. A thrilling monochrome nightmare. Following a show in Russia, we are ecstatic to present a rare live performance from sound alchemists Black Sunroof! aka Matthew Bower and Samantha Davis. The duo are most widely known as Skullflower, but also record as Voltiguers. Samantha has previously released a series of cassettes as Harm via Matching Head. 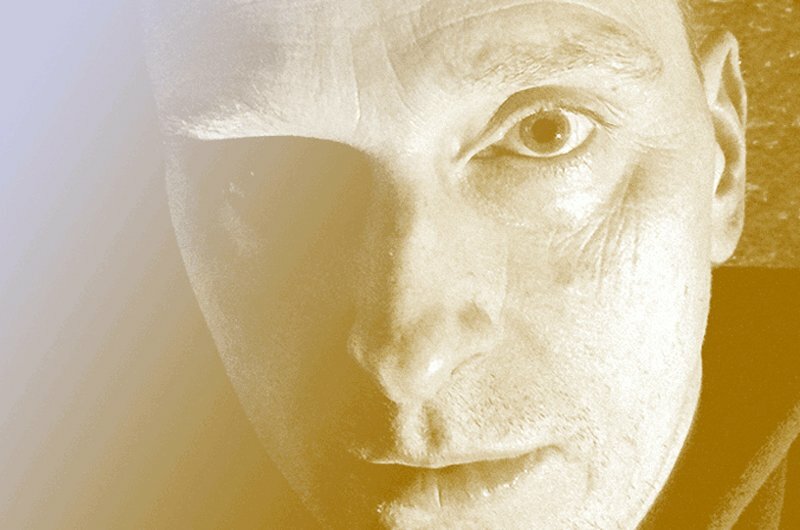 Matthew is nothing short of a total legend - an extremely prolific artist whose tirelessly been active since his role in pioneering power electronics in the early 80’s. Over almost thirty five years he has amassed a staggering discography, from projects which also include Total, Sunroof!, Mirag, Hototogisu, Sunlayer and Valley of Fear. Releases have appeared on every label worth their salt; Broken Flag, Important Records, Shock, Crucial Blast, Utech, American Tapes, Not Not Fun, Noiseville, Posh Isolation, Neurot, Cold Spring, RRRecords, Sympathy For The Record Industry, Blackest Rainbow, De Stijl, Nashazphone, Hospital Productions etc. Vice has said of Skullflower “They started what bands like Sunn O))) are trying to finish”. Bower once described his sound as “like standing under a waterfall” and we really couldn’t put it any better, but for the uninitiated - think gargantuan, densely textured, transcendent walls of post- metal machine music that is primal, immersive, overloaded and down right life affirming. The harsh beauty at various points incorporating noise/drone/metal/guitar/ feedback/ violin/ f/x/ loops/ synth and includes themes of the occult, ancient mythology and esoteric tradition. As Black Sunroof! they create what Bower refers to as “black psychedelia”. We can’t wait for them to perform their ritual and open a doorway into states of ecstatic bliss. Check out their ‘Feral’ LP on VHF or ‘4 Black Suns & a Sinister Rainbow' 2CD on Handmade Birds for a taste.